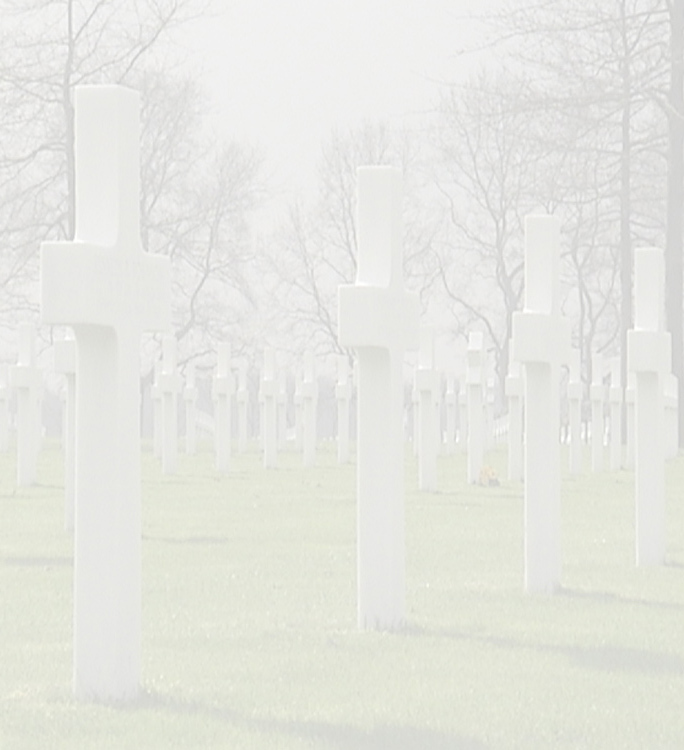 This is the story about a young U.S. soldier who gave his life for our freedom. 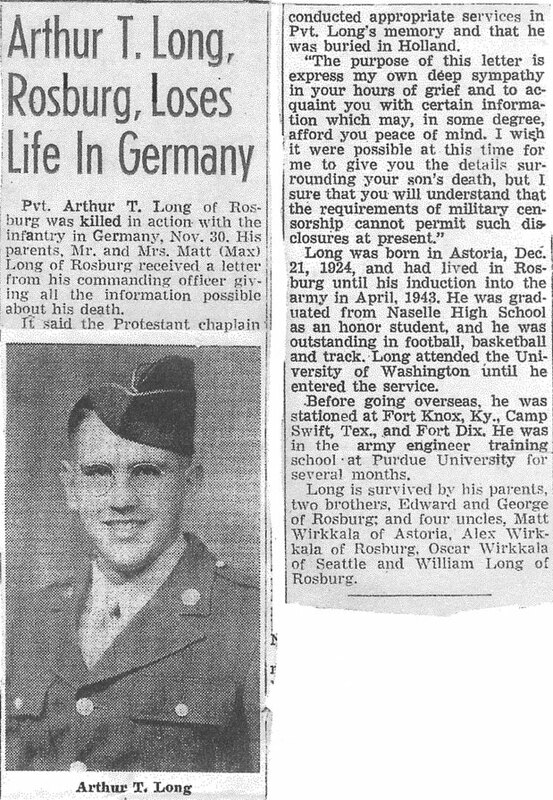 His name is Arthur T. Long and he was born in the little town of Rosburg, north of the Columbia river in the state of Washington. 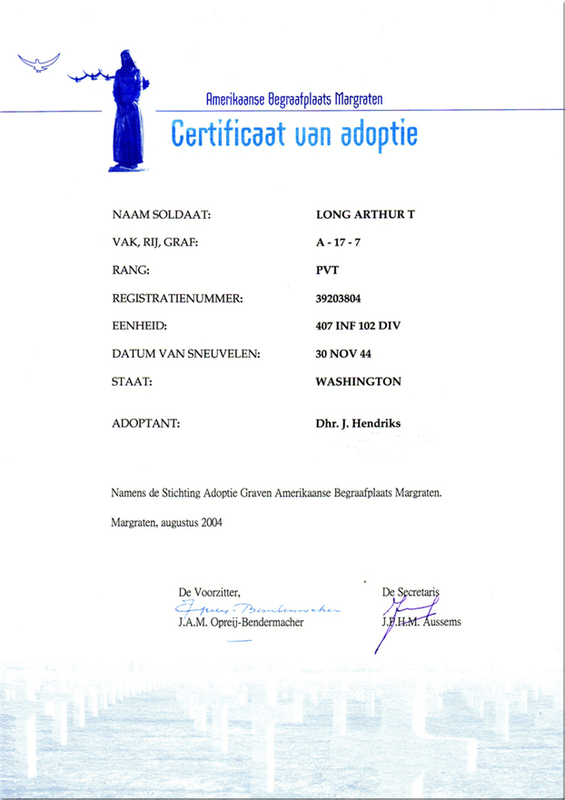 His parents, Max and Elina Long had emigrated from Finland in the early years of the 20th century. 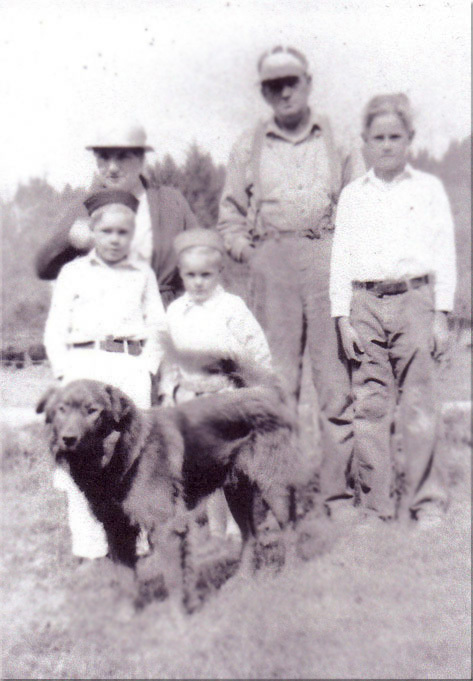 His father was a fisherman on the Columbia river and worked on the farmland. 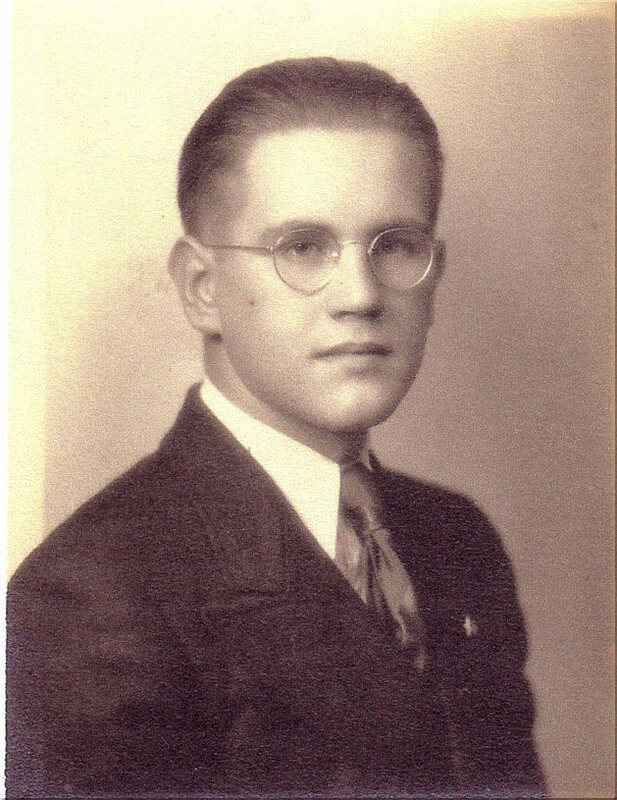 Arthur was born on 21 December 1924 and had two brothers, Edward and George. 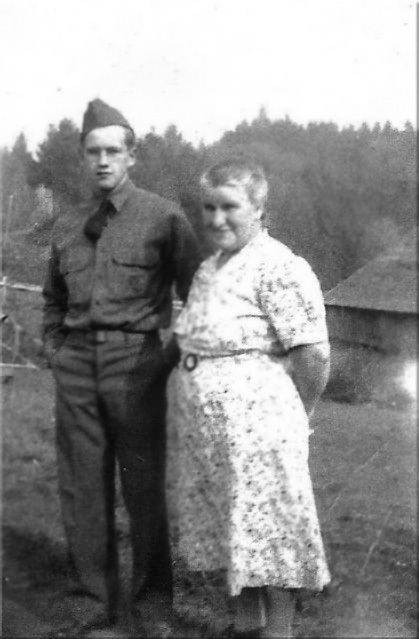 Shortly after World War II his relatives moved to Astoria, just south of the Columbia River in the State of Oregon. High School classmates remember Art as a star athlete and scholar. 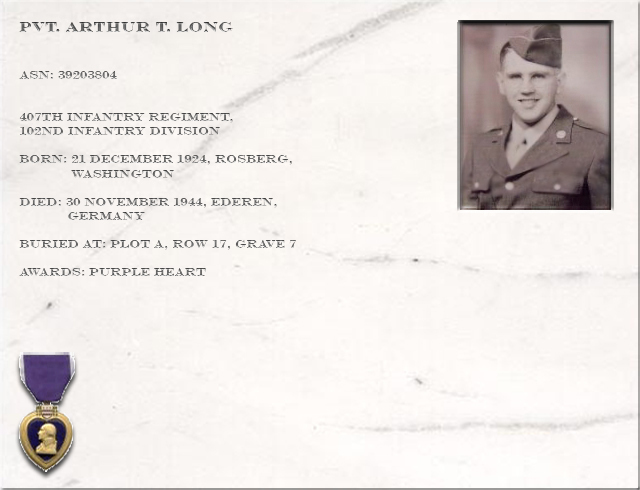 He was killed at 30 November 1944 in the vicinity of the German town Ederen, just north of the city of Aachen, while his unit was trying to cross the river Ruhr at the Siegfried line, trying to outflank enemy machineguns of the German 10th SS Panzer Division, which had his unit pinned down. The meaning of the OZARK Insignia is as follows: From the Indian bowsmen who were found by the French explorers in the hills and mountains of Arkansas and Missouri came the Division name and insignia. The French 'Terre Aux Arcs', 'Land of the Bows' became OZARK in American folklore. The arc in the insignia represents a bow superimposed on a circular target, together symbolizing marksmanship. Z completes the design making ARC for OZARK. Gold is for valour on a background of Blue for distinction. MARKSMANSHIP, VALOUR, DISTINCTION were and still are the OZARK ideals. Arthur's many friends (from his unit) gathered nearly fifty years later, attest to the fact that Arthur was not an ordinary person. To his comrades, Arthur was more than a friend - almost closer than family. He was their buddy. Even in death, a deep bond of love still exists. In a document called the "Combat Creed", one of the Ozark-men, John Wilson and his comrades try to express this feelings in words. Neither was Art an ordinary soldier. Of exceptional intelligence, Art was involuntarily transferred into the infantry from an aborted college engineering training program called the ASTP(Army Specialized Training Program). 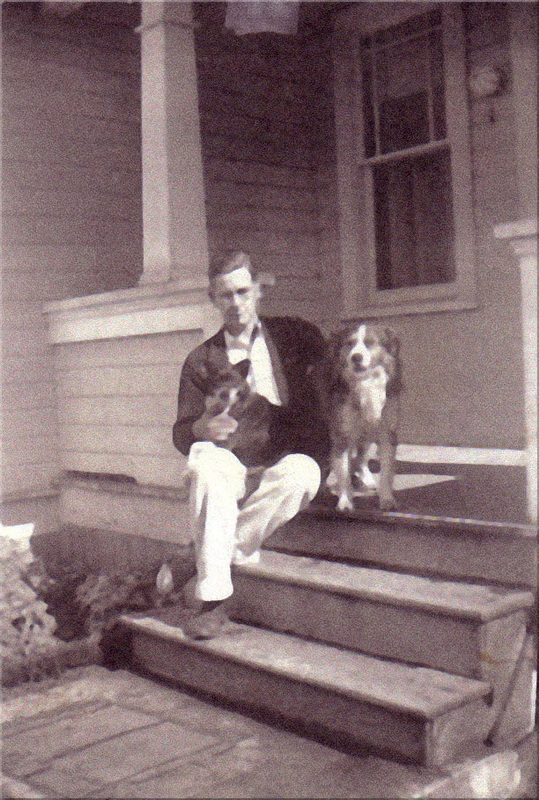 His plight has been documented in a book entitled "Scholars in Foxholes", by Louis E. Keefer. It's fascinating reading. Henry Kissinger and Gore Vidal were also enrolled. In spite of this trick of fate, his lowly "dogface" status, and the misery of war, Art never complained. His dedicated, quiet, joyful attitude was a source of inspiration and comfort to the rest of us, mostly disgruntled gripers. We all treasure fond memories of incidents involving Art. And Art did not die on an ordinary battlefield, although at the time we thought it was some God-forsaken place. It was a historical battleground hallowed by the nearby Hubertus Cross and the blood of many warriors. In the year 1944, another fierce batle was fought hear near the Ruhr (Roer) River, the first natural barrier inside Germany - halfway between Holland and the Rhine River, before the Ardennes offensive. Hitler himself visited the area. He gave strict orders to stop the American penetration (Aachen Gap) and hold the Ruhr line by all means, including committing the elite 10th SS Panzer Division to the severe fighting. 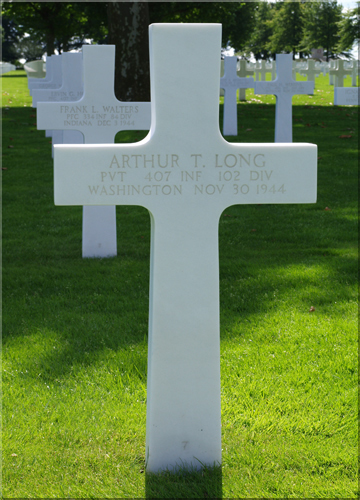 Having almost breached the Siegfried Line, Art long was killed in what historians now call the Battle of the Hubertus Cross. No doubt, the good die young ! 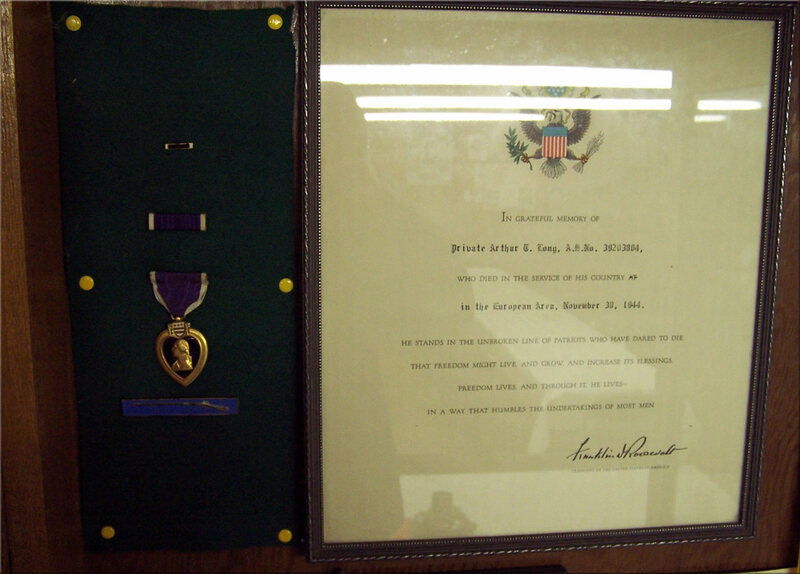 Arthur was a recipient of the Purple Heart and the Combat Infantry Badge. Mrs. Nora Dougherty Costello , daughter of 1st Lt. John L. Dougherty, also resting at the Netherlands American Cemetery.